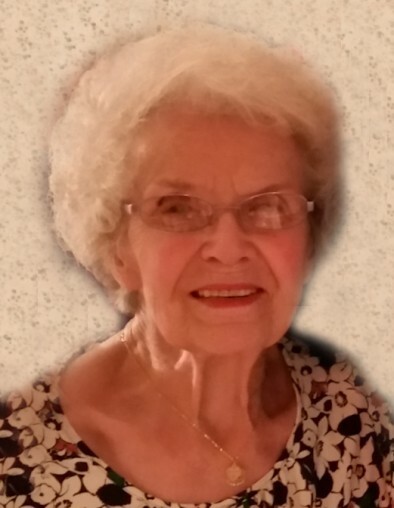 Lois A. Gardiner, 88, of Marion, Illinois passed away at 7:30 A.M. July 8, 2018. She was born August 28, 1929 in Grand Tower, Illinois to John W. and Juliette (Brandes) Arbeiter. She married William H. "Bill" Gardiner on June 26, 1949 in Murphysboro, Illinois. They were blessed with 66 years of marriage until he preceded her in death on September 29, 2015. Lois is survived by her son, Hayden Gardiner of Marion; daughters, Diane Gardiner of Carterville, and Kimberlea G. Trotter and husband, Dr. Samuel Trotter of Rogersville, Alabama; grandchildren, Mia Stock and husband, Danny of Marion, Ali Buffington and husband, Wes of Marion, Jeffrey Gardiner of Perryville, Missouri, Elizabeth Haas DPT and husband, Travis of Carterville, Jillian Trotter of Dallas, Texas, Rachel Trotter DPT of Hawthorne, New Jersey, Joseph Trotter and wife, Samantha of Rogersville, Alabama, and Claire Trotter of Dallas, Texas; great grandchildren, Clara Stock, Charlotte Stock, Drake Buffington, Emma Haas, and Frank Haas; two sisters, Marion Kunce of Carterville, and Adelle Garner of Marion and sister-in-law, Delma Arbeiter of Waterloo, Illinois. She is also survived by several nieces and nephews. Mrs. Gardiner was preceded in death by her parents; husband; sister, Doris Asbury; brother-in-law, Charles Asbury; brother, Russell Arbeiter; and brothers-in-law, Homer Garner and James Kunce. Lois was a member of Faith Lutheran Church in Mount Vernon for 55 years. She volunteered for 40 years with the American Cancer Society and was honored in 2001 with the Jefferson County Senior Saint Award. She was also honored by Dr. Yagnesh Oza with a reception in 2015 recognizing her many years of service. She served with the Good Samaritan Hospital Auxiliary and volunteered much of her time with the Meals on Wheels program. She was dearly loved and will be missed by all who knew her.